Posted on July 19, 2012 by "No Longer Mass Emailing"
I refuse to post a link but below are a few screenshots. Did somebody really think the animal fondling (center) and match.com looking (top right) pics on the homepage were a good idea after the 2nd evidence dump? 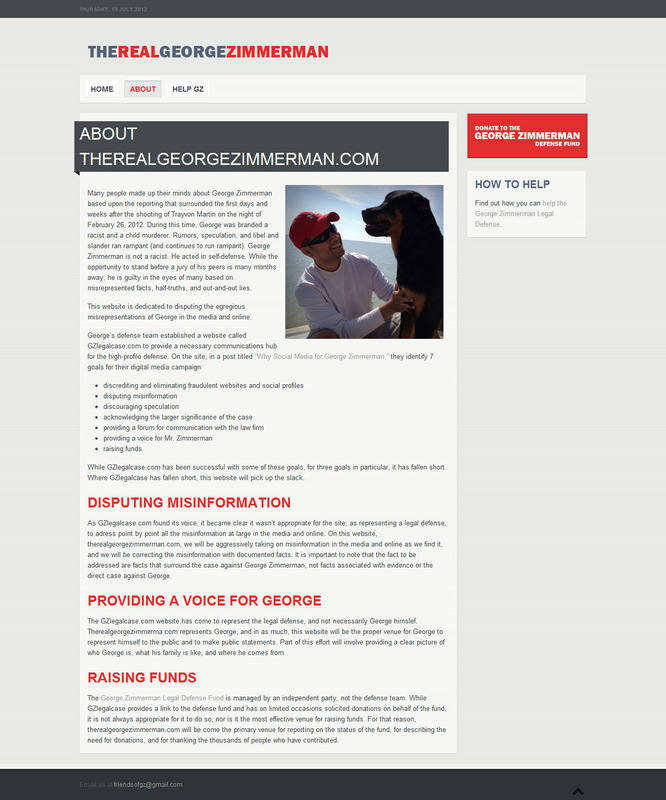 And, I really miss the classy godaddy banners and paypal buttons from the first version — Robert Zimmerman Jr. must be tied doing some web design for other accused murderers. 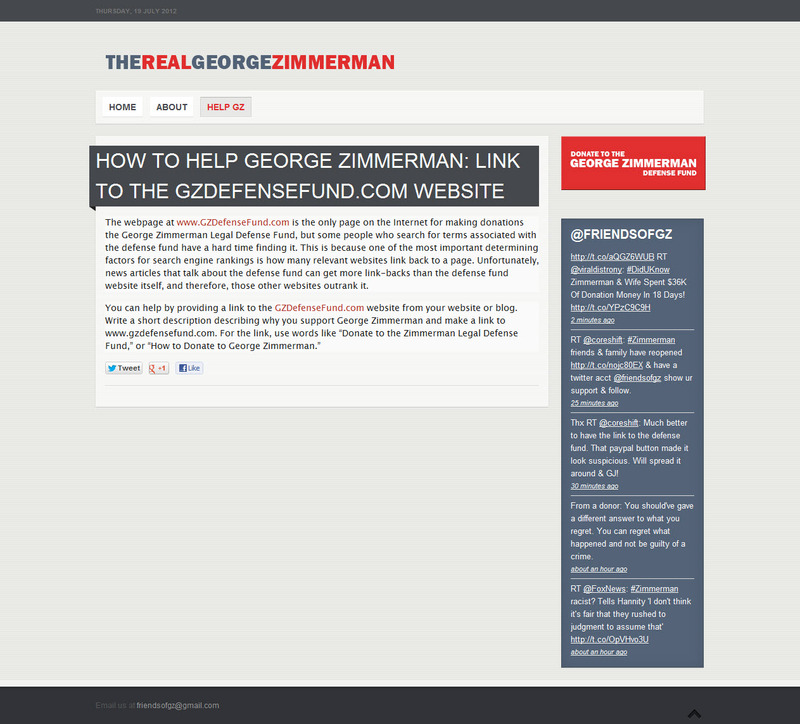 Zimmerman’s site being relaunched isn’t blog posting worthy so I’m closing the comments. 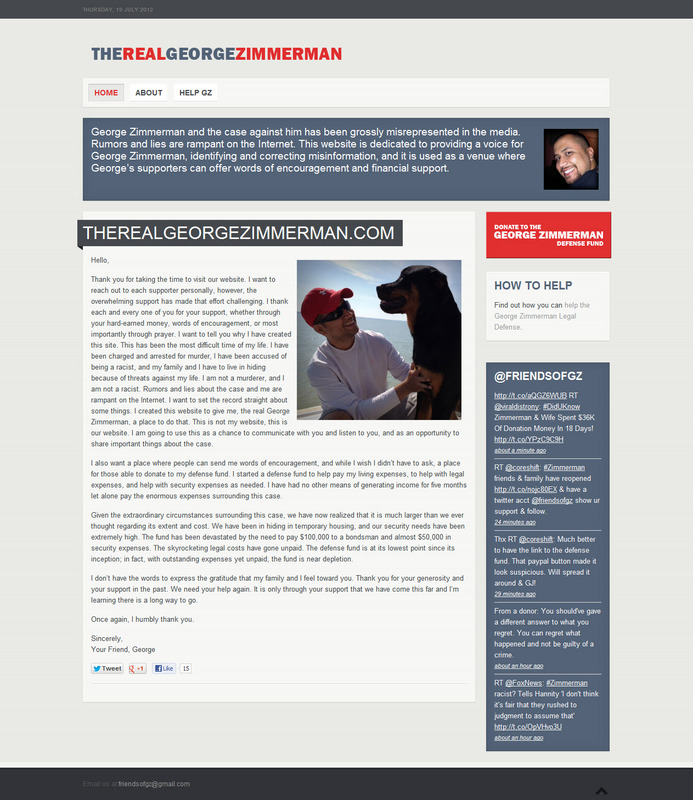 This entry was posted in Your Inbox Misses Me and tagged george zimmerman, therealgeorgezimmerman, website relaunch, zimmerman by "No Longer Mass Emailing". Bookmark the permalink.